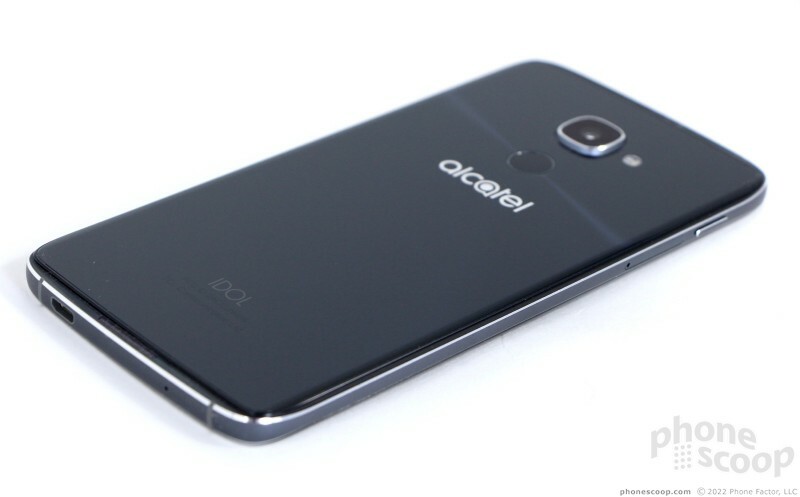 Alcatel's flagship Android handset strives to break through barriers with its high-end design and mid-range specs. The middle of the market is a tough space in which to play, and, rather than allowing the Idol 4S to stand on its own merits, Alcatel hopes a set of VR goggles, a case, and a pair of headphones will help sweeten the deal. 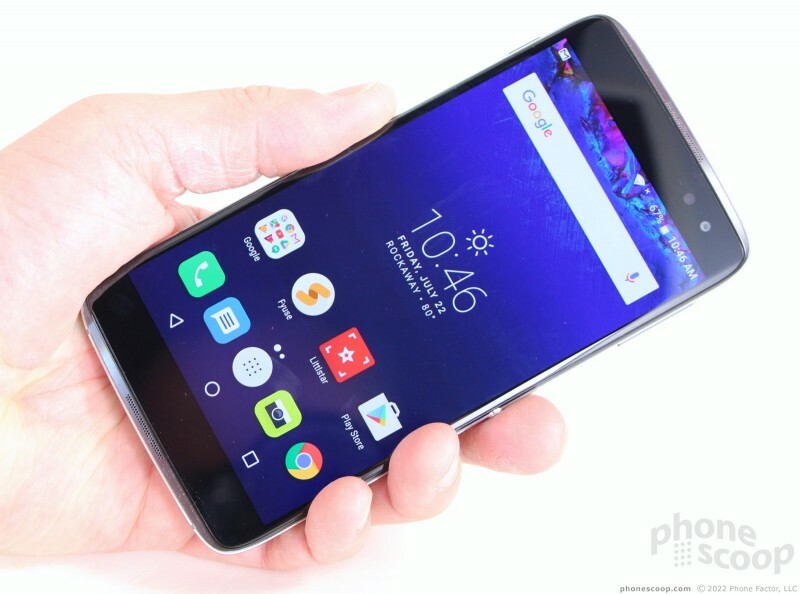 Here is Phonescoop's in-depth review of the Alcatel Idol 4S. Alcatel hopes the Idol 4S will help shake loose its budget phone image. This mid-ranger tries hard to be a flagship with its premium design. If you prefer to buy unlocked handsets, and are in the market for a decent VR headset, then the Idol 4S makes some sense. 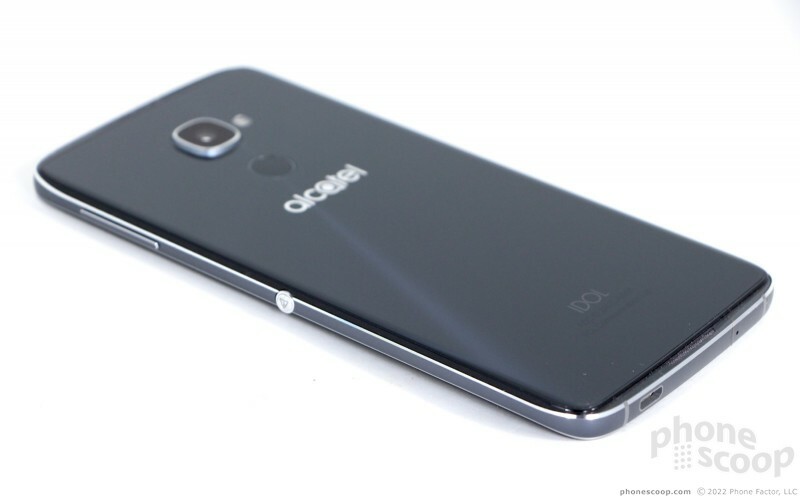 Alcatel has long a been a maker of inexpensive handsets. Last year's Idol 3 was a marvel of design and performance, especially considering its $250 price tag. This year, Alcatel made clear its goal to move a few rungs up the ladder. The Idol 4S is a slim, attractive handset that graduates from plastics to glass and metal and, at $399, pits Alcatel squarely against some heavyweights in the industry. To my eyes, the Alcatel Idol 4S is a cross between the Galaxy Note 5 from Samsung and the outgoing Xperia Z line of handsets from Sony. 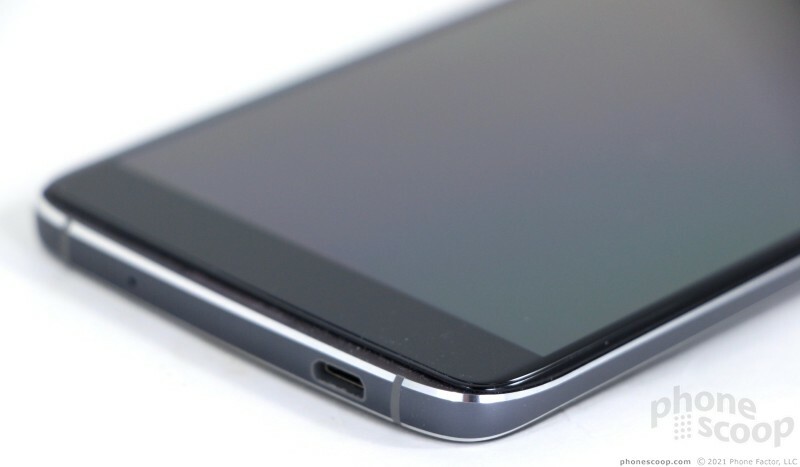 The phone has a gray metal frame that wraps all the way around the sides. The metal is polished to a shiny chrome finish along the edges, creating an appealing chamfer. The frame is sandwiched between two glass panels. 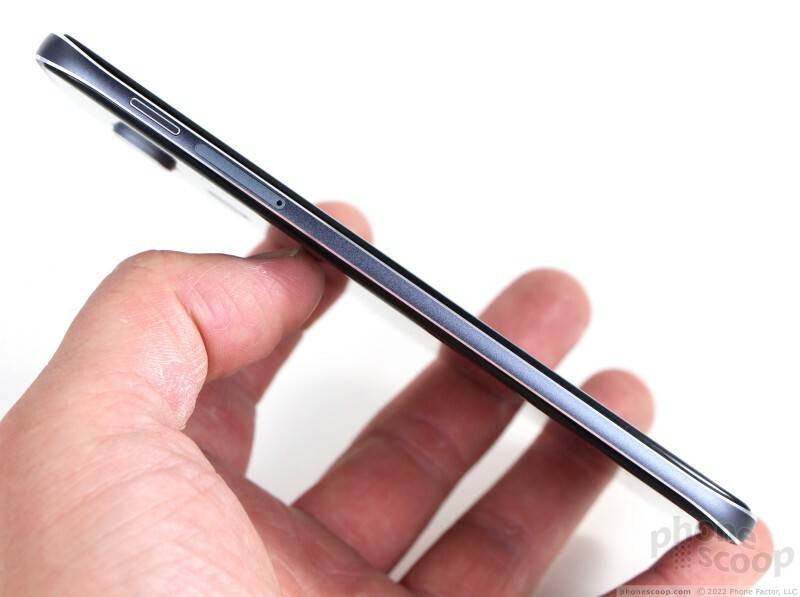 Both the front and rear pieces of glass have curved edges, which help smooth over the seam between metal and glass and make the device easier on the hand. 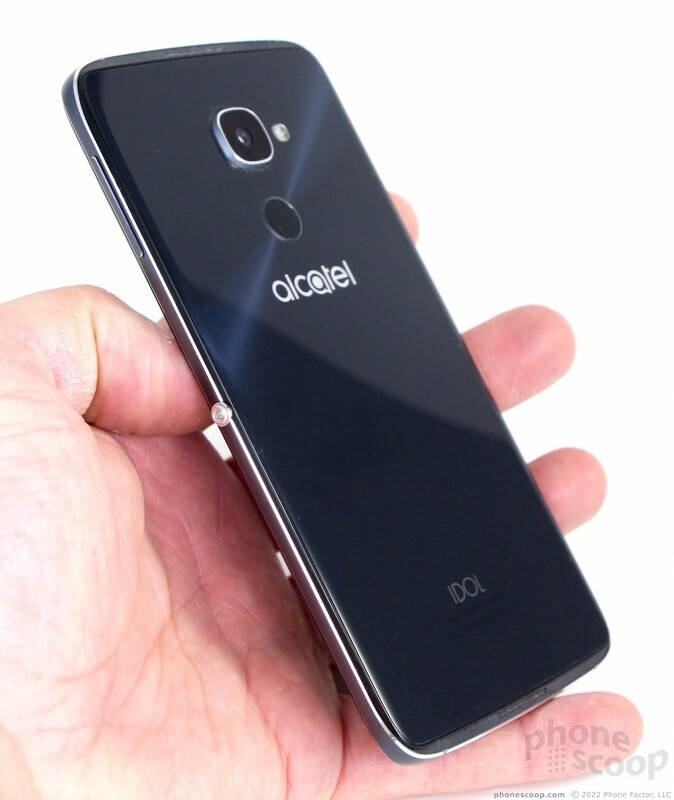 I like that Alcatel went with a deep blue color for the rear panel; it looks fantastic in sunlight. 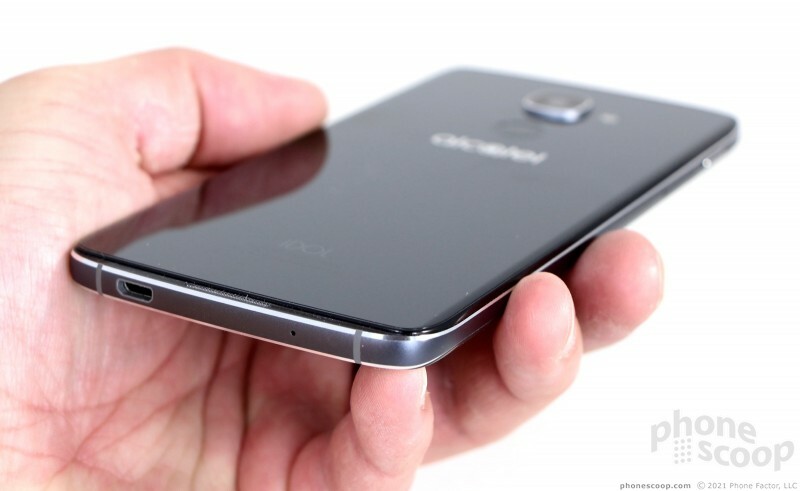 The Idol 4S is a fairly large phone, due mostly to its 5.5-inch screen. 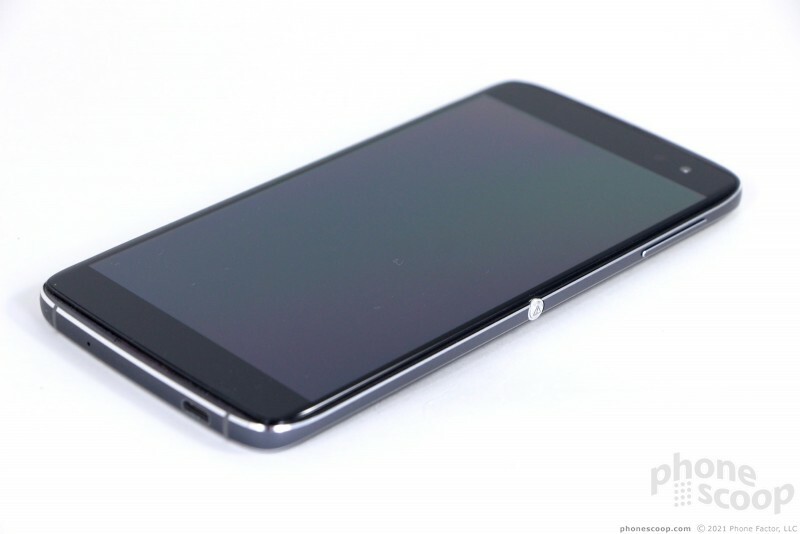 At 6.06 inches tall by 2.97 inches wide, its dimensions are close to that of the iPhone 6s Plus and Note 5. 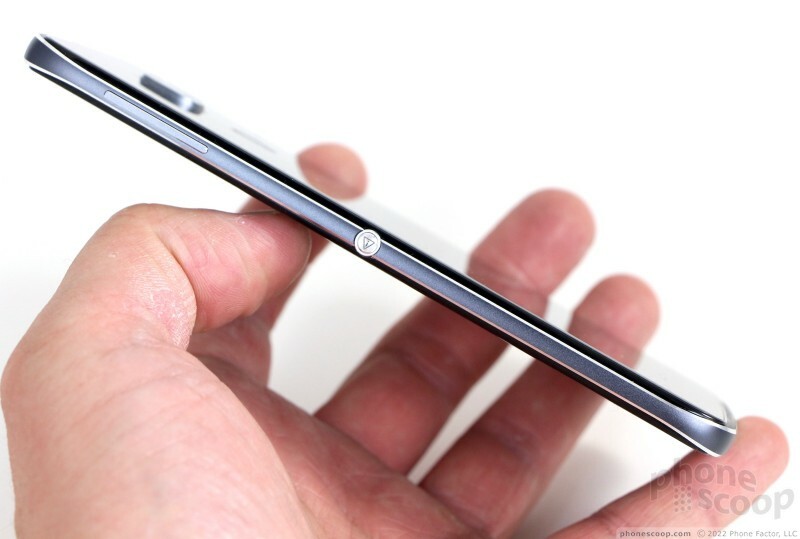 Alcatel kept the thickness in check at 0.28 inches (7mm). The phone isn't too heavy; I expected the glass and metal materials to lend it more heft, but the weight is quite nice. The 4S is a phablet, for sure, and may not work for those with smaller hands. I didn't have any trouble using it over the course of a week, but it does require two hands often. The phone's slippery surfaces allow it to slide into pockets easily. 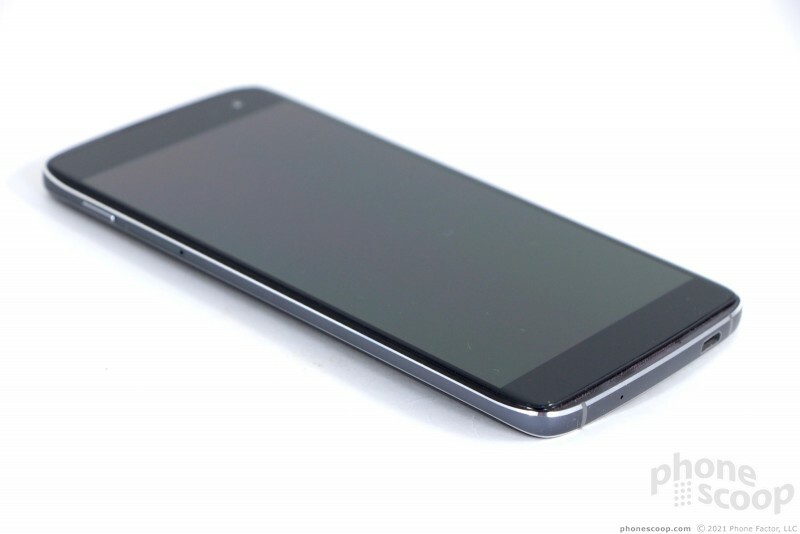 Alcatel did a great job manufacturing the 4S. The materials are excellent and fitted together tightly. The phone feels like a quality piece of hardware through and through. The Idol 4S's face is fairly typical The shiny chrome frame helps define the shape and contrasts nicely with the dark glass. Alcatel located the stereo speakers in the frame itself (rather than cut the glass). You can see the small grille holes that have been drilled into the metal, but you have to look closely. The user-facing camera is the only aspect providing a clue as to which end is up (thank goodness the UI is reversible). 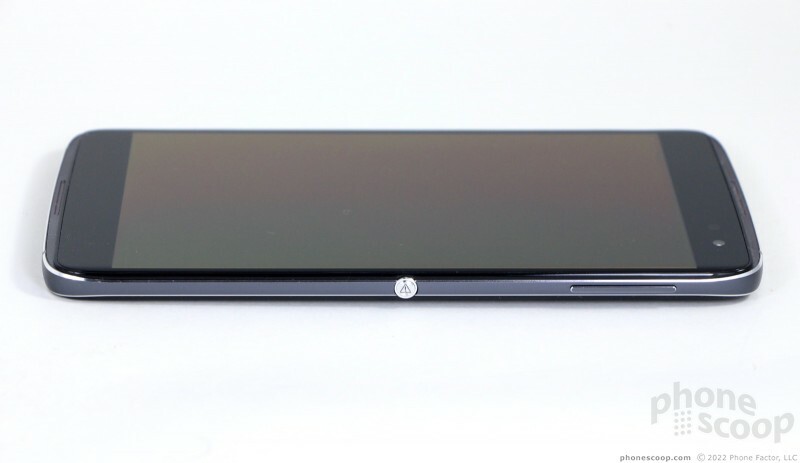 There are no buttons or controls on the front surface, as the phone uses software buttons that come and go as needed. 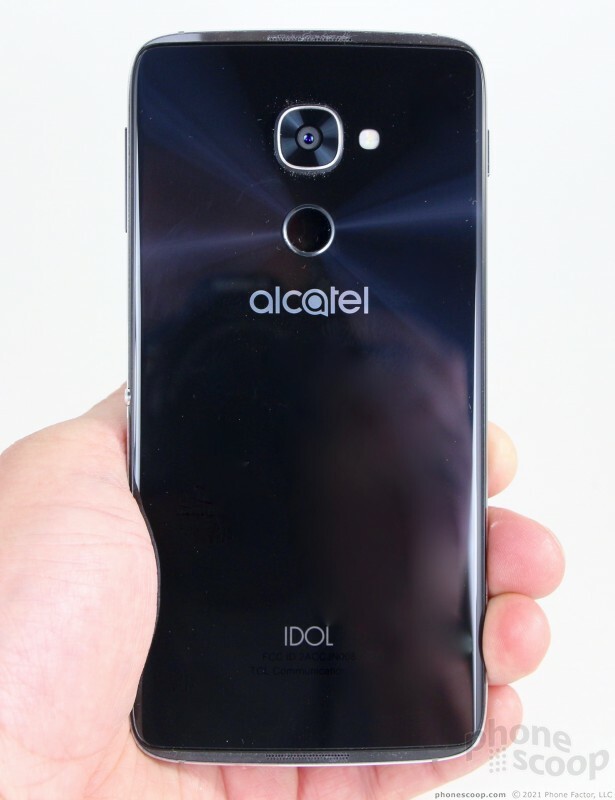 Alcatel put the screen lock button at the top of Idol's left edge, and it annoys me just as much as it did on last year's phone. 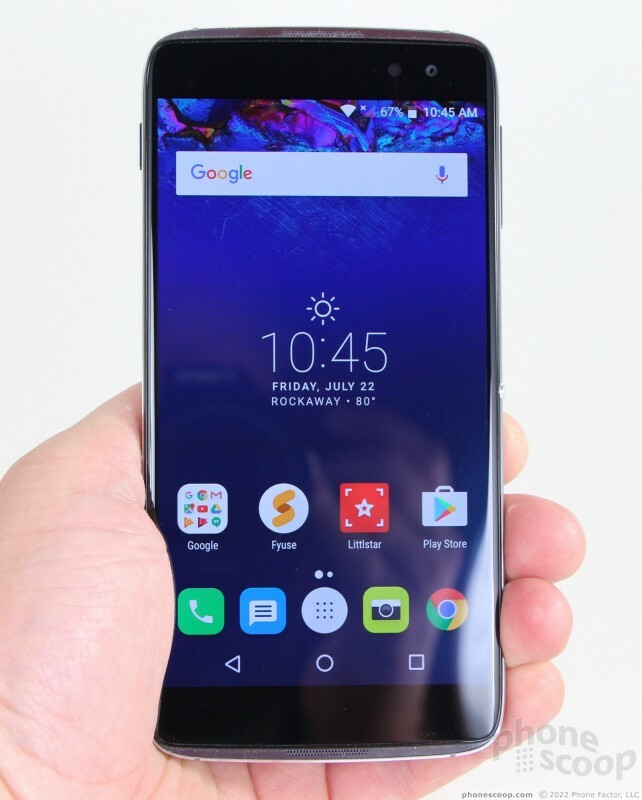 Almost every other phone positions the screen lock button in a more-reachable spot, but not Alcatel. Despite its awful positioning, the button has a great profile and excellent travel and feedback. The SIM card / memory card tray is tucked into the frame just below the screen lock button. The Idol 4S supports two SIM cards, which could benefit those who travel internationally, or those who want both their personal and business lines on the same device. The right edge holds the volume toggle and the "boom key." The volume toggle is a thin strip, but it is easy to find and use. I appreciate the profile and feedback. The boom key is smack in the middle of the right edge. It's a circular button that activates one of several user-programmable actions. It's best put to use as a shortcut to open the camera. The button has big profile and is a cinch to find. In fact, it's too easy to find; I found myself pressing / activating it accidentally all the darned time. 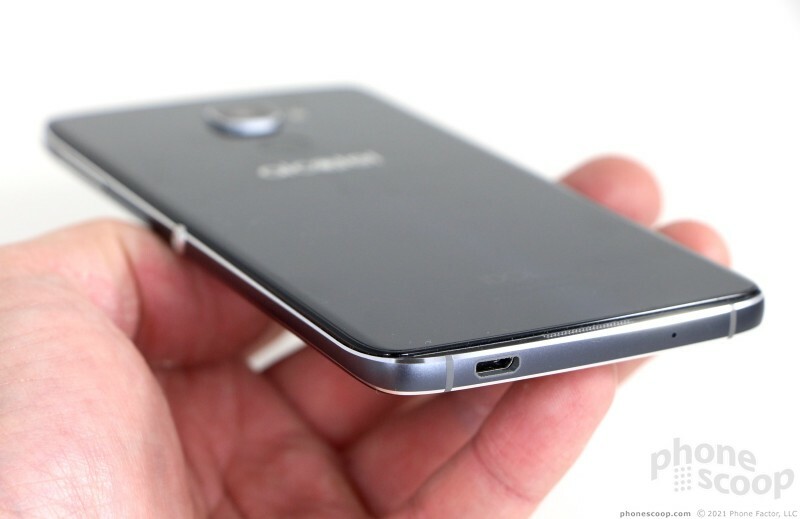 You'll find the headphone jack on the top and the micro USB port on the bottom, typical placement for both. 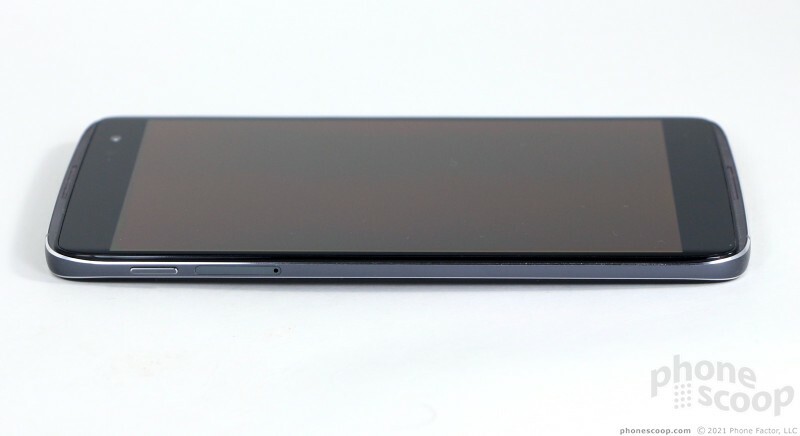 The fingerprint reader — unique to the U.S. variant of this phone — is the central focus of the rear panel. The panel is angled such that any reflected light appears to emanate from the small circle that is the fingerprint reader. The reader and the camera have chrome accents. 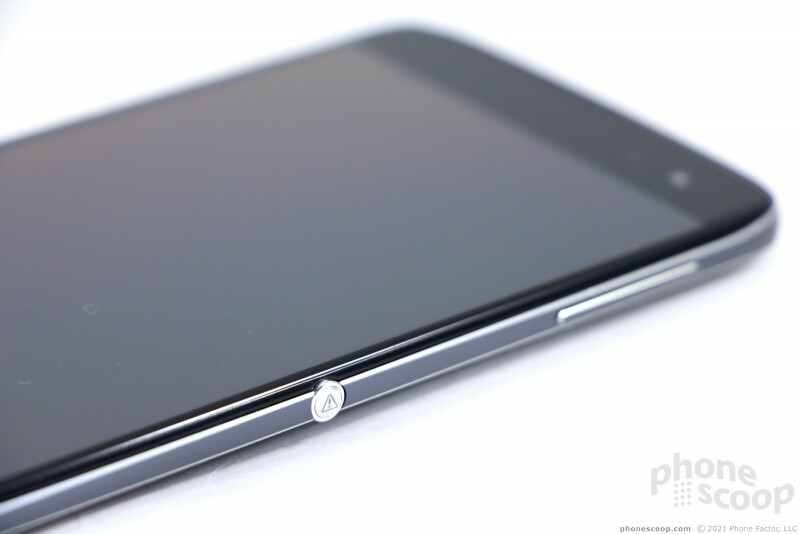 While the reader is flush with the rear surface, the camera module juts out quite noticeably. I wish the reader were easier to find by touch. 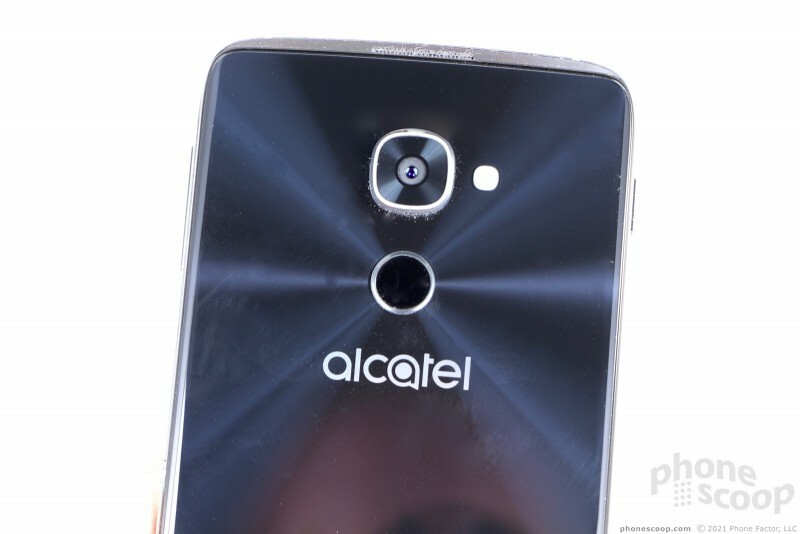 Alcatel's new logo underlines the reader and camera. The back panel cannot be removed, so the battery is inaccessible. A few niggles aside, Alcatel did a fine job with the Idol 4S. It's a quality piece of hardware that should appeal to those seeking something more than today's plastic phones have to offer. Alcatel went large and gave the Idol 4S a 5.5-inch quad HD screen. 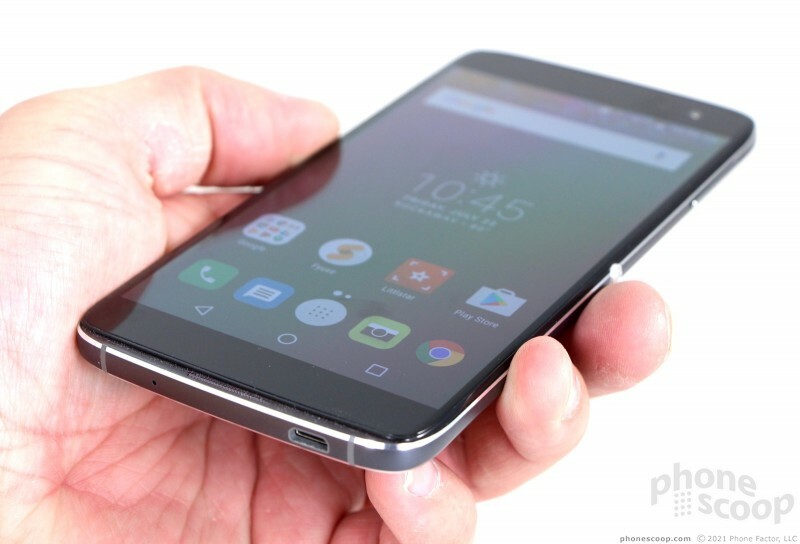 The Idol 3 shared the same screen size, but had 1080p resolution. Alcatel made the jump to quad HD in order to provide a better virtual reality experience. There's no question the screen is attractive. 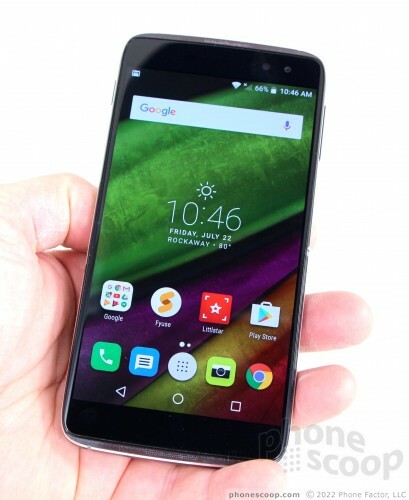 It has gobs of pixels, plenty of brightness, and good viewing angles. It also likely contributed heavily to the Idol 4S's big price increase over the Idol 3. I found the screen worked well indoors and out, but you will need to crank up the brightness when outdoors. 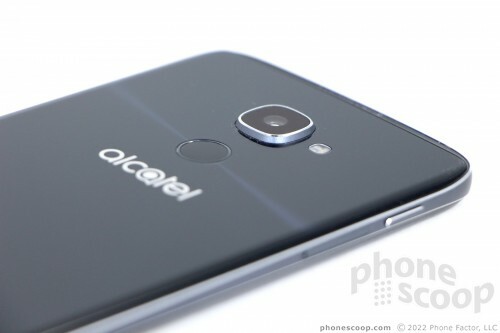 Alcatel is selling the 4S directly to consumers, unlocked. It supports LTE bands 2, 4, 5, 7, 12, and 17, which means it works with AT&T and T-Mobile (and their prepaid brands Cricket and MetroPCS, respectively.) I tested it on both AT&T and T-Mobile networks, and came away impressed. The phone connected each and every call on the first time, no matter the network conditions. It dropped one call on each network (when on the highway) but did not send any calls directly to voicemail. Data speeds were good enough, but not the fastest I've witnessed. I didn't have any trouble streaming music or (low-rez) video over either network, and app downloads were always swift. Popular smartphone apps, such as Facebook, Instagram, and email, all worked flawlessly thanks to the Idol's good data performance. You can't call the Idol 4S a quiet phone. With two 3.6W speakers, this thing puts out a lot of sound, and that includes through the earpiece during phone calls. Volume doesn't equate quality, however, and the 4S suffers a bit from distortion at all volume levels. Call clarity is average when compared to other AT&T/T-Mobile devices. The incredible volume simply means you can hear calls almost everywhere you take the phone. People I spoke to via the 4S said I sounded "clear." By the way, since the phone is reversible, you can take calls holding the phone either way. There's no difference in sound if you do. The speakerphone is darned loud, but it also suffers from distortion. You can hear calls in the car, in the mall, and probably next to a jet engine, but words are sometimes unintelligible. Ringers and alerts can deliver a sucker punch to the head if that's what you want. If you want to listen to music, the 4S is a fine companion. The stereo speakers work well, particularly when you want to watch some video. It puts out enough sound for two rooms, or an outdoor deck/patio area. Really, the only thing that's missing is a kickstand and this thing could be your mini boombox buddy. Alcatel gave the Idol 4S a 3,000 mAh battery, which seems to be the go-to capacity for similarly-sized flagship devices this year. 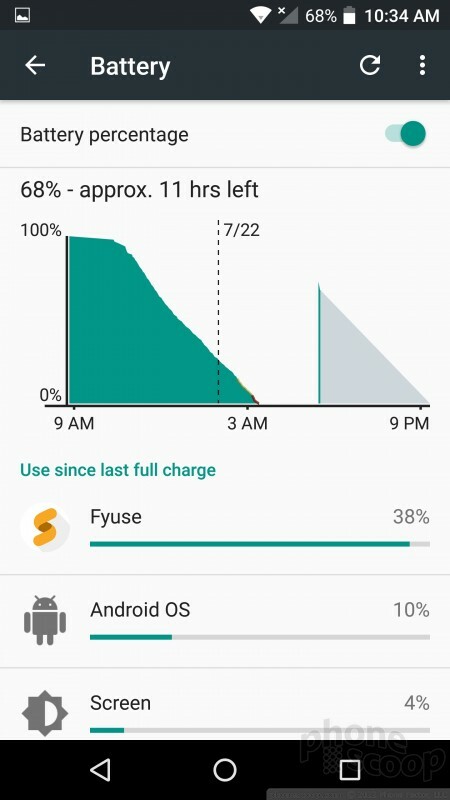 I found the Idol 4S delivers one full day of battery life, but just barely. It was often on its last legs by the time I went to bed each night. The quad HD screen probably plays a role here. It's worth noting that I never killed off the battery entirely, not even on days I took the VR apps for a spin. 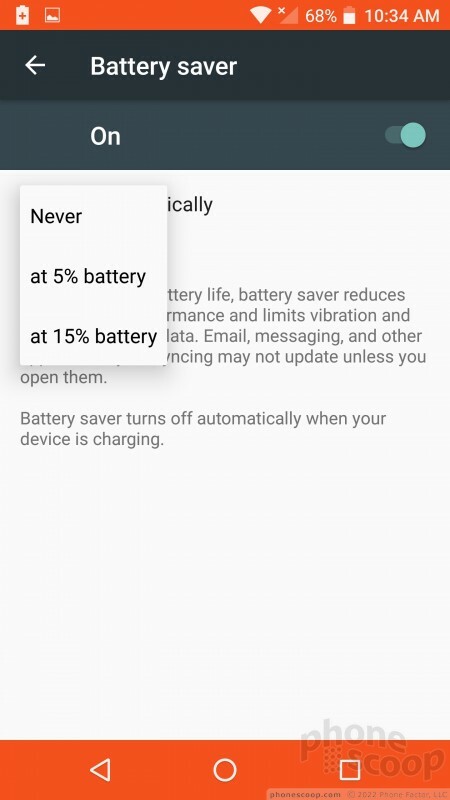 The phone includes the base Android battery saver tool, but nothing extra from Alcatel. Thankfully, the 4S supports rapid charging. 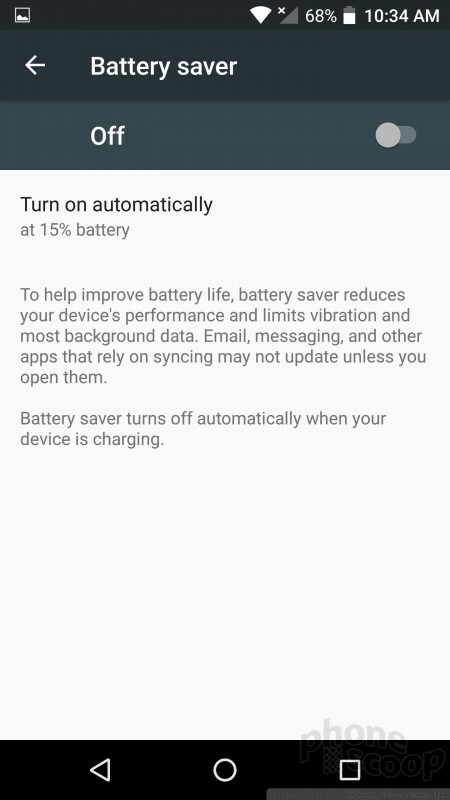 I was able to get the battery from 10% to 100% in about 100 minutes. GPS functioned fine. The Idol 4S was able to locate me in just a few seconds and accuracy was as good as about 25 feet. The phone has enough GPS accuracy and processor power to allow for trouble-free, real-time navigation between points. The NFC and WiFi radios both worked well.